August 16, 2017 – A United Launch Alliance Atlas V rocket rolled out of the Vertical Integration Facility at Cape Canaveral Air Force Station in Florida today on its way to Space Launch Complex 41. The rocket will send NASA’s Tracking and Data Relay Satellite, TDRS-M to orbit. TDRS-M is the latest spacecraft destined for the agency’s constellation of communications satellites that allows nearly continuous contact with orbiting spacecraft ranging from the International Space Station and Hubble Space Telescope to the array of scientific observatories. The TDRS project was established in 1973 to deliver around-the-clock communications with NASA’s most crucial missions in low-Earth orbit, providing higher rates of data exchange. TDRS satellites have played a role supporting spaceflight since the first was deployed from the STS-6 space shuttle mission on April 4, 1983. 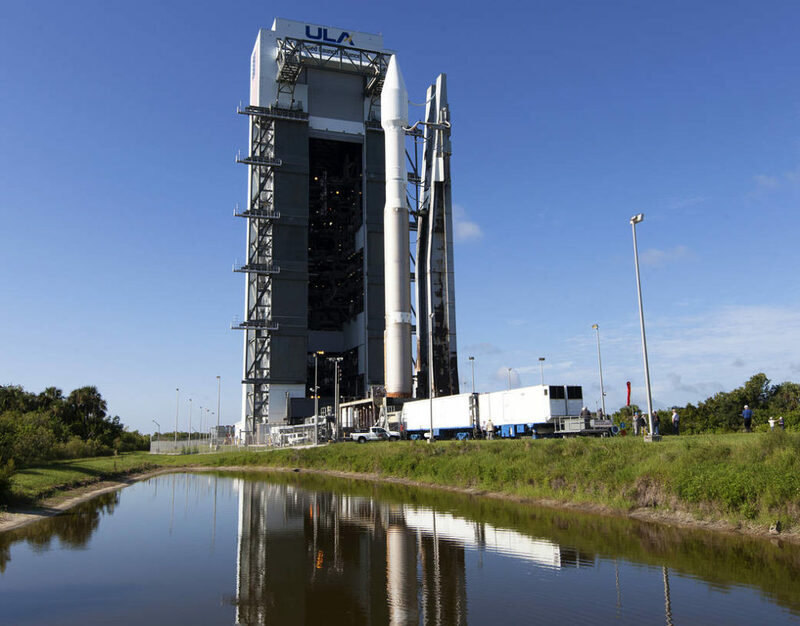 Liftoff of TDRS-M atop a United Launch Alliance Atlas V rocket is scheduled to take place from Space Launch Complex 41 at Cape Canaveral Air Force Station at 6:03 a.m. MDT August 18. Once in orbit the TDRS spacecraft will be positioned 22,300 miles above Earth and provide near-constant communication links between the ground and orbiting satellites. United Launch Alliance is headquartered in Centennial, Colorado.